Diprothomo platensis: an early hominid from Buenos Aires? Home » Out-of-place artefacts » Anomalous human remains » Diprothomo platensis: a hominid from Buenos Aires? Diprothomo platensis: a hominid from Buenos Aires? 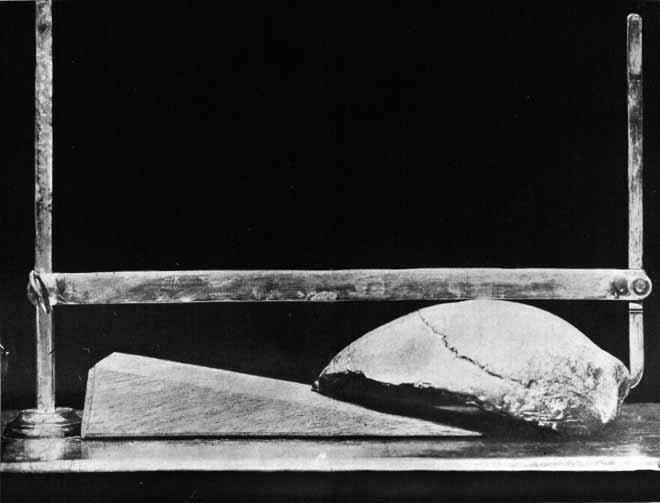 Workers excavating a dry dock in Buenos Aires (Argentina) in 1896 found a human skull, allegedly in a Pre-Ensenadan stratum, a deposit dated one to one and a half million years old, eleven metres below the level of the Rio de la Plata. The Argentine palaeontologist Florentino Ameghino (1854-1911) gave it the scientific name Diprothomo platensis; however, re-examination by the American anthropologist Aleš Hrdlička (1869-1943) a short time later found the cranial capacity to be within the range of modern Homo sapiens and he rejected the new species. There are two problems with the discovery if we follow the conventional view: anatomically modern humans did not exist a million years ago and there were no humans in the Americas before about 35,000 years ago (to accept a controversially early date for their arrival in the western hemisphere). 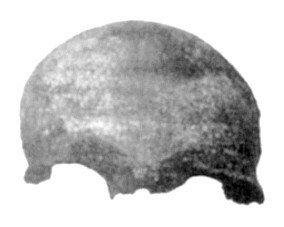 As with Reck’s skull from Tanzania, there is no indication that the skull fragment was actually embedded in an undisturbed geological deposit. Although Diprothomo platensis appears regularly on creationist websites and in Forbidden Archeology, it has generally been consigned to the dustbin of history, where it remains an exhibit to the errors of previous generations of palaeoanthropologists. Irina Podgorny has written an interesting paper on Florentino Ameghino’s contributions to South American anthropology and his highly eccentric views on human evolution. Her analysis of his “craniorientor’, a device used to prove to his satisfaction that the Buenos Aires skull was an early hominid and not Homo sapiens should be read by everyone who wants to promote these supposedly anomalous human remains. 11 Responses to Diprothomo platensis: a hominid from Buenos Aires? As with the “Recks” skull how come they have not been carbon dated? Seems the easiest way to see if they are of the era of the geological layer of which they where found. I’ve known about Ed Conrad’s stuff for years and considered it so off-the-wall that I have not had the stomach (or the patience) to have a go. It would be like shooting fish in a barrel! If you read the text, you’ll see that I do give one: there is no evidence that this anatomically modern calvarium was embedded in an ancient geological stratum. There is effectively no mystery, as it derives from the burial of a human at some time since the first peopling of South America. How do you figure there is no evidence that it was embedded in an ancient geological stratum? But you say it was a burial of a human….where is the evidence for your theory? I say that “there is no evidence that it was embedded in an ancient geological stratum” because no evidence has been presented that it was. It was found in the bottom of an excavation under conditions that appear to have been rather confused. The bottom of the river bed where the dry dock was being constructed is known to have been worn to a greater depth in places and nobody who was present at the time of discovery could vouch for having seen it in situ; it was said to have come from a quicksand-like deposit, at a greater depth than a material known as tosca, a hard concretion. What the discoverers did not say, significantly, was that it was sealed by a layer of tosca, merelay that it came from a greater depth. That sounds like a fairly woolly lack of evidence to me. What about Luzia? Wasn’t she dated at about 30 kya. She also possessed “australoid” features, which are actually common for all early Homo sapiens, from Africa and everywhere else (There’s even a study from the last 10 years or so, supporting Out of Africa on the basis of cranial similarities from early human migrants worldwide, or specifically in Africa and Australia, but they looked somewhat more like Australians than Africans). Luzia is not African of Australsian, and most certainly not 30,000 years old, more like 11,000 years. The study of Neves, has been debunked. There are far older remains that are unequivocally older than Luzia, like Naia at 13,000 years is MtDNA D1 haplogroup. She is closely related to all Amerindians, north and south. Anzick-1 child at 13,000 Found in Montana, Mtdna D4h3a and Ydna Q1a3a, just because the skull morphology is different from modern Native Americans, that is because of 30,000 years of evolution that has transpired in the many years the Natives have been in America, doesn’t change the DNA evidence. The first wave of Amerindians were morphologically different, and then came the Ne Dine/Athabaskan migration 9,000 years ago, then the Inuit/Aleut migrations brought in the Neo-Mongoloid phenotype to the very few of the first wave of the Paleo-Americans. 80% percent of the Native population has the first American genetic component, the rest 20 % of the Inuit/ Aleut and Athabaskan have both first American and Modern East Asian DNA mixture.